Everyday, Mahina walks the four blocks from her house to school with her younger brother. For the past few weeks in science class, she has been learning about the biology and physics of coastal waters around the Hawaiian Islands. She has also been learning about the connection between humans and the ocean. Mahina has always been a good student but she’s been having trouble understanding that connection the teachers are talking about. 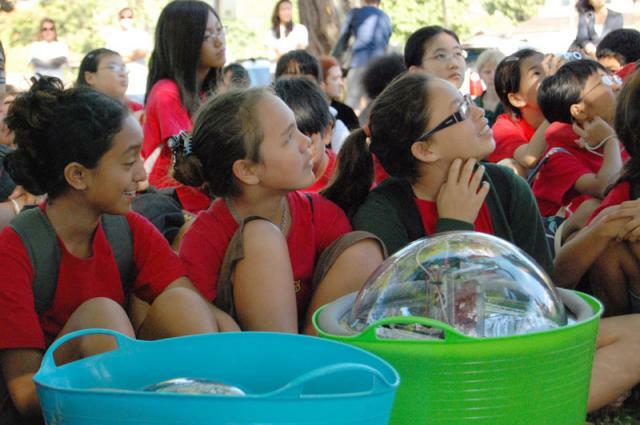 This day is special – today, the ocean science Mahina and her fifth grade class have been learning about will come to life. 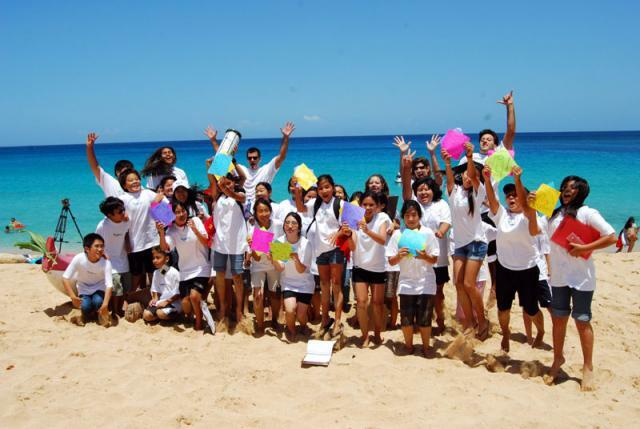 Mahina’s class field trip takes her to the beach, just three miles from school. 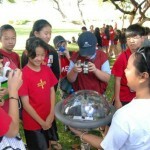 Today, the students will deploy a special GPS drifter, called a Niu, they have been learning about. The first assignment Mahina is given is to spend some time making observations about the ocean, the valley behind her, the rock formations on the beach, and the beach itself. Specifically, she has been asked to determine what aspects of the landscape are natural and which have been influenced or degraded by humans. She hears the crashing waves; sees the lush green valley, pristine water and blue skies. Mahina begins to see what people have done to alter the landscape and the beach: there’s a concrete parking lot with showers that drain onto the beach, there are plastic bottles and cigarette butts in the sand. She sees the wind catch a stray grocery bag and blow it toward the water. 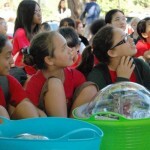 Mahina knows about the harm that plastic bags and bottles can cause for marine animals and now she sees how those things might end up in the ocean. It’s time for the big send off: the Niu is ready for deployment. All the students gather at the shoreline, their toes anxiously inching under water. Mahina helps put the drifter on the boat and the students wave goodbye. Once the small boat is out of the shallows, the boat crew lowers the drifter into the water and watches it float away. Immediately, the students on land begin tracking the movement of the Niu in real-time on web-based map. Mahina watches the map as the drifter she had in her hands just moments ago is carried out to sea by the currents. She then remembers the grocery bag that got caught up in the wind. Where did it go? The connection between land and sea, between our actions and the sea, becomes clear. For Mahina, this is an even more powerful experience – this day marks her first visit to the beach, the first time her toes have touched the ocean. Moments later, she is carrying around a little plastic bag and picking up from the sand discarded cigarette butts, encouraging other students to do the same. 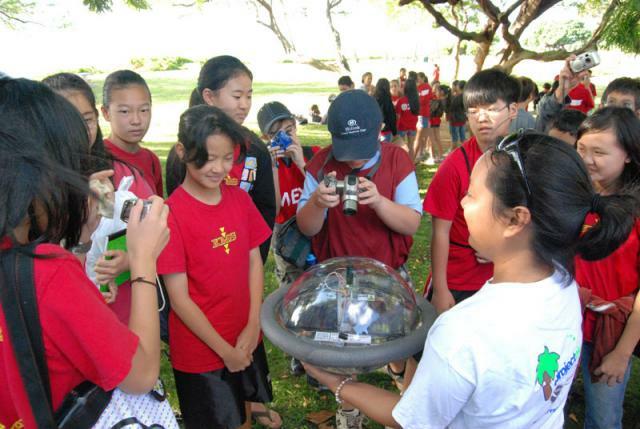 Creating opportunities for students to engage in hands-on science and experience the environments about which they are being taught impacts their understanding of the information. 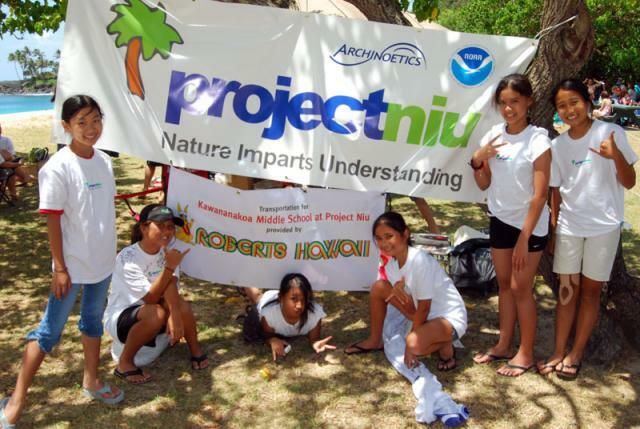 By using real-time information, like that provided by the Niu and ocean observing systems, students are able to solidify science concepts and clearly see the connection between their actions and the environment around them, thus promoting better stewardship of our land and ocean. 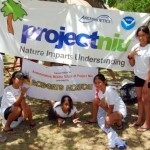 Editor’s Note: In this story, Mahina is actually a composite of several students’ experience in the Project Niu program.